Friday 30th ‘Movember’ – Australia Market Wrap | Beeks Downunder-Because not all financial news is boring! ASX 200 down 91 to 5667 closes on lows. High 5754 Low 5667. Strong volume. ASX down 50 (0.85%) for the week. G20 and that Dinner date beckon. Staples sold off as Amazon enters market? Consumer stocks fall on CCL comments. MARCUS CALL – The changes we have made to the portfolios this week – hoping for a G20 trade deal. S&P 500 death cross pending. TRADING PORTFOLIO – No new trades this morning, not taking on any more risk ahead of this weekend’s G20. STRATEGY – Date night beckons at G20 and a look at the Fed minutes and GDP Now from the Atlanta Fed. Crucial weekend meeting for equity markets. SMALL CAP FOCUS – Update on where we have put our money to work this week plus a look at macro Asia after a presentation by a specialist with Ellerston Asia. NUH in a trading halt looking for money as we foreshadowed could be a possibility yesterday. CEN +5.13% Rockgas sale complete. BIN +3.26% book squaring after recent loss. AOG +4.29% strategic review update. CCL -14.46% investor day and SPC closure. 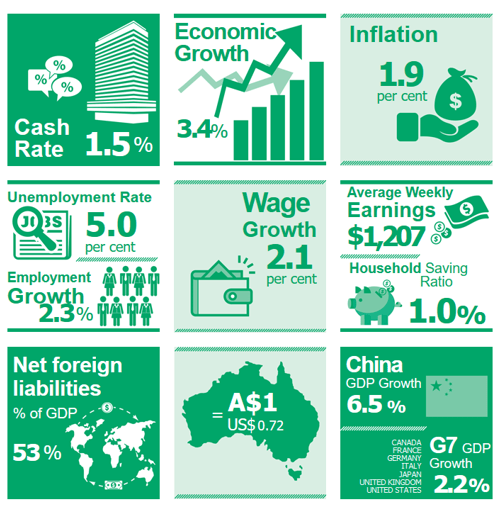 TWE -4.71% higher AUD hurts. ANG -4.17% Thorney fave comes off the boil. MQG -2.05% changing of the guard as Nick no more. The king is dead . Long live the Queen. MYR +5.81% gets a second strike. No board spill though. WEB +0.58% hot summer takes its toll on UK Thomas Cook. Speculative stock of the day: Not a day for speculative stocks. No volume in any. Bapcor (BAP) -0.32% Bapcor completes previously announced acquisition of Commercial Truck Parts Group, comprising Don Kyatt Spare Parts, He Knows Truck Parts, I Know Truck Parts, H.I.M Spares and Japanese Commercial Spares, which operate businesses from 10 locations in Queensland, New South Wales, Victoria and South Australia. Coca-Cola (CCL) –14.46% Trading update at investor day. FY18 is being impacted by accelerated reinvestment of approximately A$40M of cost savings in Australia. Volumes are still tracking slightly below 2017, and Indonesia’s NARTD demand remains soft. 2019 to be another transitional year, due to the investment required to progress business plans. CCL is targeting a return to mid-single digit EPS growth in the medium term. Hyundai announces US$230m share buyback. South Korea raises rates for first time in a year. 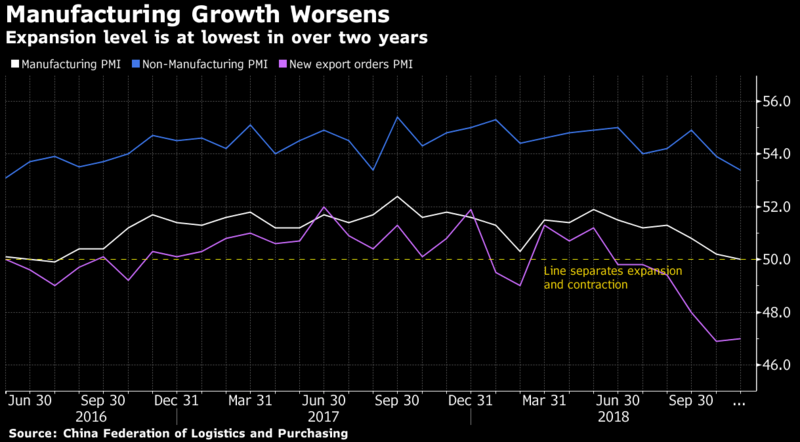 Chinese manufacturing slowed again after a two-year growth spurt. Contraction in small business and new orders slowing. Purchasing Managers Index (PMI) for November was 50 from 50.2 in October. Japanese IP rose beating expectations. Killer pig virus closing in on Beijing. Mike Lynch has been charged by US authorities over the sale of UK software company Autonomy to HP over seven years ago. Will Merkel make the G20? Technical issues with her plane. US pending home sales drop to a 4-year low. Jaguar cuts another 200 jobs as production goes to Slovakia. Thomas Cook nose dives into the red in the UK with a GBP 163m loss. Blames UK heatwave. Implications for WEB. Thanks for everyone’s support for Movember nearly $4000 raised.Great result. A young Army officer was severely wounded in the head by a grenade, but the only visible, permanent injury was that both of his ears had to be amputated. Since his remaining hearing was sufficient, he remained in the Army. ‘Well, sir, you have no ears.’ The General threw him out also. The third interview was with an old Sergeant Major, an Infantryman and staff-trained NCO. He was smart, articulate, fit, looked sharp, and seemed to know more than the other two officers combined.